With Valentine’s Day coming up this weekend, I decided to do a few contemporary and romance posts. This orginally started off as being contemporary books you must read, but I recognized a trend of authors on my list and changed it. Now I have many books from most of these authors, and if I haven’t, I have seen many great things surrounding their books. This isn’t ranked in any specific order. If you read any sort of ya contemporary book, and you haven’t heard of Rainbow Rowell, I’m convinced you live under a rock. 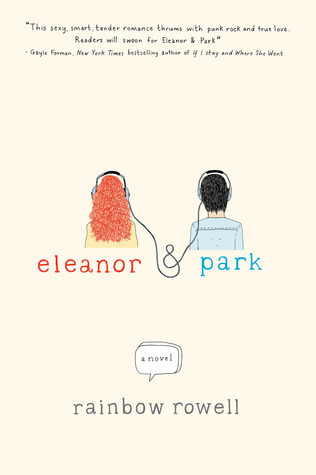 You see Eleanor & Park everywhere, and I talk about Fangirl quite a bit on here. I have a sample of Attachments on my kindle and I loved it, so I will be buying that soon! Her latest book is Landline, and I beleive it came out this past summer. 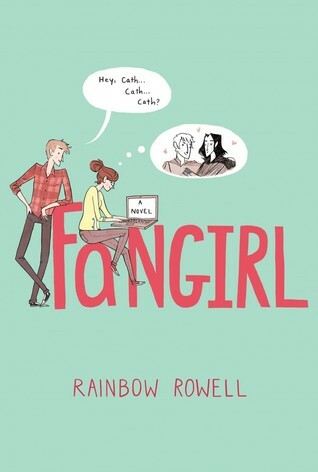 I think many people would agree with me and say that Rainbow Rowell is a must read contemporary author. Her new book is called Carry On and for those of you who have read Fangirl, you guessed right. She decided to write her own version of Simon and Baz’s story. For more information on her new book, check out this post! You can not truly read the Best of YA contemporary without reading Anna and the French Kiss by Stephanie Perkins. For the msot part, people I have talked to really like this book. 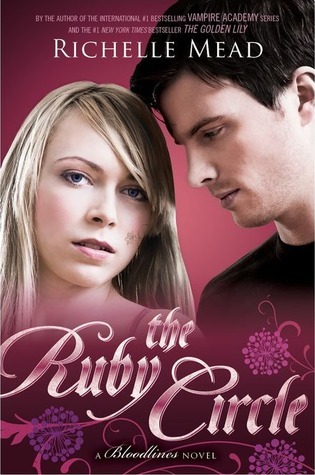 It is very predictable, but it is the perfect romance book to read after reading a really emotional book. Lola and Isla are both very good as well, but Anna is my favorite with Lola at a close second. Also, I really love the covers of these book, and I think that are much better now that they are changed. If you haven’t given these books a try yet, definitely do so! 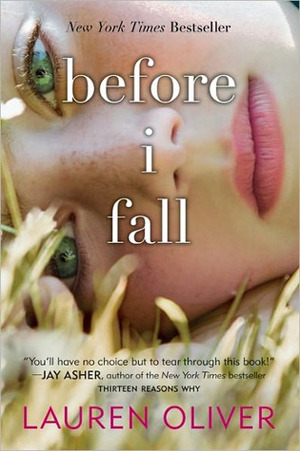 I actually had this blog when Isla and the Happily Ever After, so here is my review! This is another woman that write absoluely amazing contmeporary books. If I Stay isn’t a complete romance and deals with other topics, however there is a ton of Romance in it and it’s sequel Where She Went. I absolutely adored the first book and it is definitely a favorite, so much that I even did a review on the movie that came out last August. I read Just One Day awhile ago, and it is a very romantic book that takes part in Paris, which makes it so much better. She also just came out with I Was Here which is a more emotional book that features very dark topics. There is also some romance thrown in that book as well. I constantly hear people talk about The Summer I Turned Pretty trilogy all the time. However, I actually haven’t read it myself. I’m not sure when or if I will just because there are so many other books to read. But I can say that Jenny Han is a great writer, because I read To All the Boys I’ve Loved Before and it was amazing. Probably my favorite contemporary I last year besides Fangirl. I wrote a whole review on it, and I actually have a post coming up about it soon (: If you are looking for a contemporary author to read, Jenny Han is defintiely someone to turn to. This is actually the only author on this list that I haven’t read. Apparently they are like super great and just pure romance and happiness. I unfortunately have yet to expeirence this romance and happiness, because I have no idea why I haven’t read a Jennifer E. Smith book. If I made a list of authors I am surprised I haven’t read, she would be on it. Mainly because I love the striking look of her covers. Seriously, how can you avoid these in the store! If you have a list of contemporary authors, you can’t forget John Green. I feel I don’t need to do much explaining for this one. Obviously, The Fault in Our Stars is a big read, but don’t forget his other books as well. I’ve read Looking for Alaska and Paper Towns, and they were both wonderful. 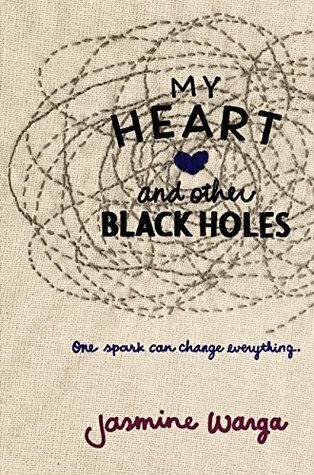 Yes, John Green can make you very sad, but the romances in his books are some of the best! I thought that I Was Here was overall a pretty interesting story. There were things I loved about it, things I wish didn’t happen, and things I wanted more of. 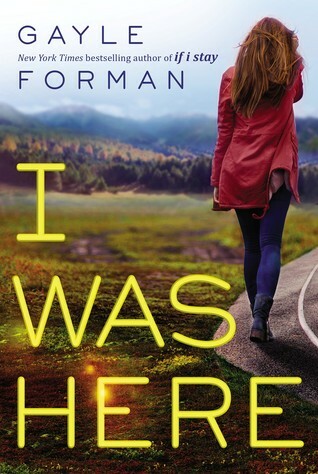 This review will have many spoilers, so if you haven’t read I Was Here by Gayle Forman, I would suggest reading it and then coming back! One of the best things in this story is the surprising things you learn about Meg. Everything from the cats to Ben Mcallister, all these things that Cody learns helps us create Meg as a character. Normally when I read a book, I can kind of get of sense of where the plot is going and predict what might happen. In no world would I have ever seen the “suicide support group” twist coming. When this is revealed the whole entire book gets much darker and it starts to get better. While first reading it, I wished that the reader could see more of Meg. Even if there was just a chapter before everything had happened. However, as I went on, my decision made a complete switch. Gayle Forman was able to paint this picture of Meg and give us her personality even though she is not physically in the story. All we know about her thoughts on life are just implied. We never truly see into her mind and what was going on when everything was happening, which is very true when it comes to real life. One thing I didn’t care for was the Cody/Ben romance. I understand that they were both connected and as characters, they had to change over the course of the story. However, I don’t think it was necessary to add the romance. They hated each other at first, so if they grew into really good friends throughout the plot, they still would have had changed feelings. I Was Here had bigger things to focus on, and the romance was a distraction from it. 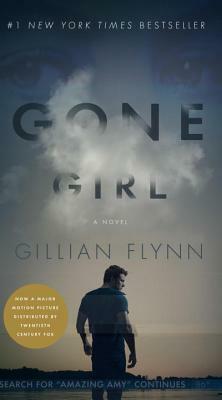 Unfortunately, when reading this book, it didn’t feel like a Gayle Forman book. I can’t explain this in the best way, but Gayle’s writing style in If I Stay made me fall in love with the book. Not only this, but I was also more connected to the If I Stay characters, and I cared more about what happened to them. It’s not that I didn’t like Cody or the other characters, they just didn’t seem very real on paper. In the end, I thought that I Was Here was a pretty good book. I mainly loved it because it took a turn I never saw coming, and left you feeling kind of creeped out. Every part with the All_BS user was calm but very creepy. He just had this effect on people, and for a moment, I believed that Cody might be suicidal as well. That to me is what made this book. The main reason I picked this up was because it was a Gayle Forman book, but many people that like books that deal with dark issues like suicide, they would really enjoy I Was Here. In the month of January, I actually required a couple of books. This is abnormal for me, because I will rarely get so many physical book copies in a month, as I buy books on my kindle as well. However, since this month was my birthday month and I have a much bigger shelf, I got more physical books. I will give you more information about each book below, and it will be from left to right. 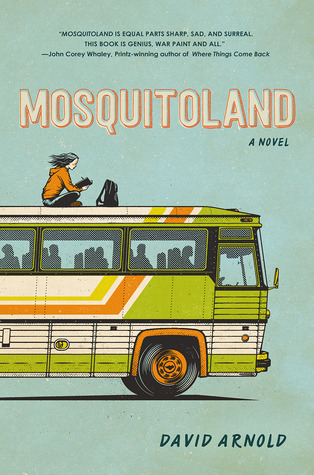 All Violet wants is to graduate and move away from her small town. Theodore just wants to die. As Goodreads describes it, All the Bright places is a perfect mix of two bestsellers The Fault in our Stars and Eleanor & Park. When I first read about this book when writing my January Releases Post, I was intrigued by it. I feel like I will either really love it or it’ll be a complete flop. We’ll see! Cody thought she knew everything about her best friend Meg. However, after Meg commits suicide in a hotel room, Cody is left to find the answers. 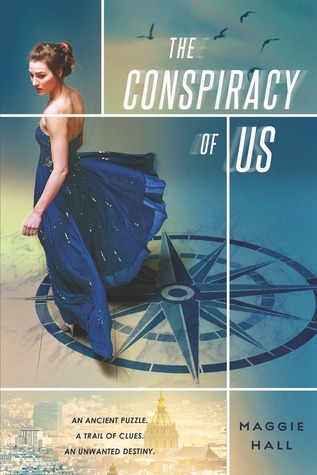 Everything she thought she knew about her is gone and she discovers many things her ‘best friend’ never told her about. Of course I picked this book up, it’s from Gayle Forman! This is a bridge story between Cress and Winter by Marissa Meyer. So far, all we know about Queen Levana is how she uses her ‘glamour’ to gain power over people. That is, until now. 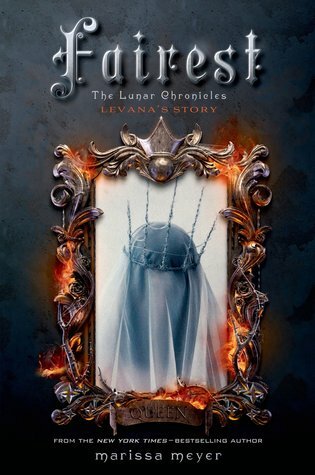 Meyer has finally written the story of Queen Levana and it is definitely a must-read for fans of the series. I am absolutely obsessed with the Lunar Chronicles, and this makes me even more excited for Winter! Before Sloane came into her life, Emily didn’t do anything. She wasn’t the one for partying and adventures. 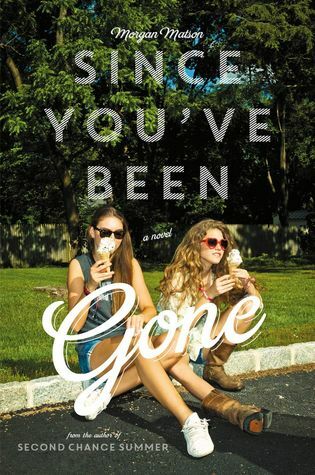 Just when she was preparing for a great summer, her best friend Sloane just disappears without a trace. The only thing she left was a list of crazy random things from picking apples at night to dancing until daybreak that Emily needed to complete that summer. After I read the synopsis, this was another book I was intrigued with. 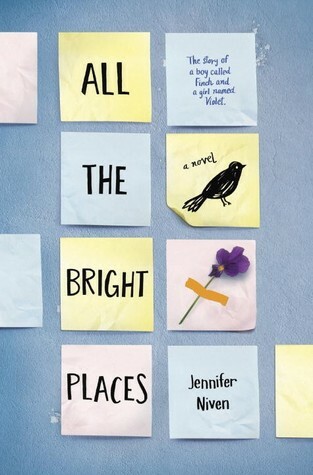 It looks like a really fun summer contemporary, but i don’t know if I can wait that long to read it! Samantha was just done celebrating Cupid Day, a day for partying that guaranteed you to be popular, when she died in a terrible crash. However, she didn’t die. Well technically she did, but she relieves that day 7 times, noticing many different things. I honestly haven’t heard anyone talk about this book. I knew it existed and knew the overall story, but I can’t remember if people liked it or not. Guess I’ll be the judge of that. It’s Nick and Amy’s anniversary, when suddenly Amy goes missing. Nick isn’t helping himself out as he keeps on imaging her there. However, after reading into Amy’s diary, a whole new perspective is given. Everyone thinks that Nick killed her, but he still pleads innocent. But if it wasn’t him, who else could it be? I’m kind of excited, yet kind of nervous for this one. 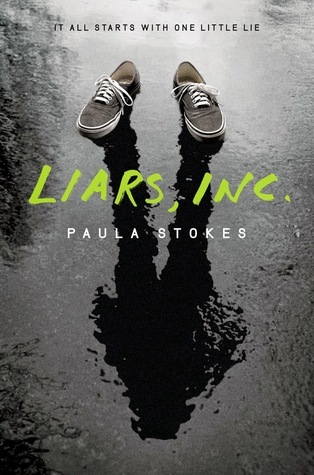 I haven’t read any thrillers/mysteries in a while and I just hope this one is good! Many of you know that I have been talking about My True Love Gave to Me for awhile now. I wanted to read it back when it came out, but then I decided to wait until Christmas. The other day I noticed how I had been reading book had barely put any reviews out at all! 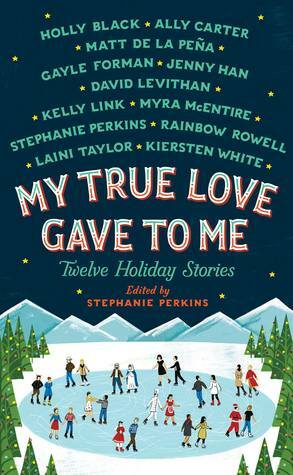 So I decided, I will read one story from My True Love Gave to Me each day on the 12 days of Christmas. Not only that, but I will also post some sort of review or thoughts on that particular story! I think this will be a very fun way to countdown to Christmas, and I will still have additional Christmas posts as well. This week the category was New-to-Me authors that I read in 2014. This easier compared to the last two weeks. let’s get started! 2. Stephanie Perkins: Anna and the French Kiss was introduced to me this year and it was one of the best contemporary trilogys I have read before. 3. 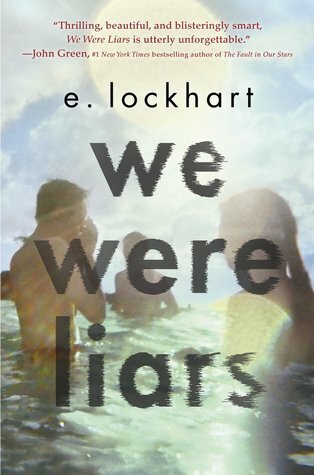 E. Lockhart: I read We Were Liars over the summer and it was beautifully and poetically written. I love Lockhart’s writing style and I would love to read her other works one day. 4. 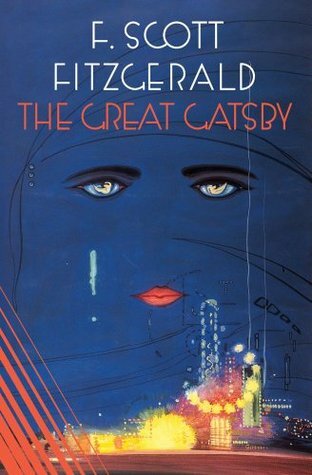 F. Scott Fitzgerald: Now this one may seem a little off, but I read the Great gatsby this year, and it’s my favorite classic book (at least so far). I love the characters and all the symbolism and themes threaded throughout the novel. 5. 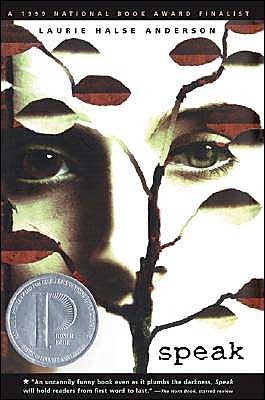 Laurie Halse Anderson: Another great book I read this year was Speak, and I was very shocked by the story. 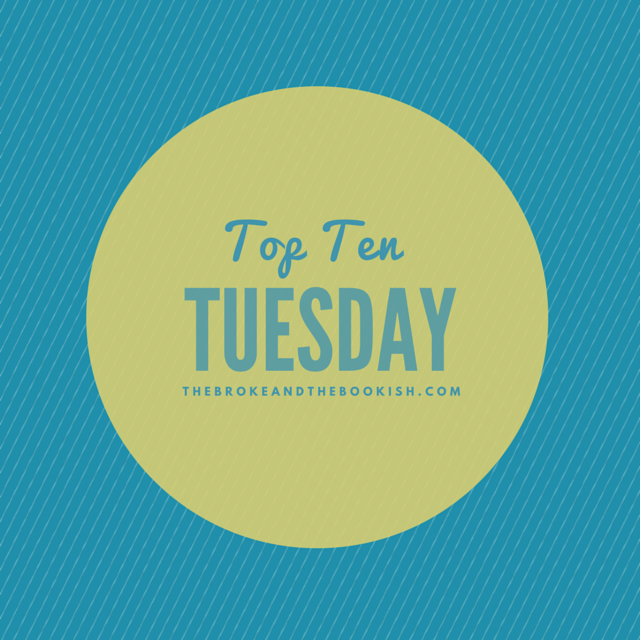 Laurie has many other deep, serious topics in her other books and those are high on my TBR list. 6. 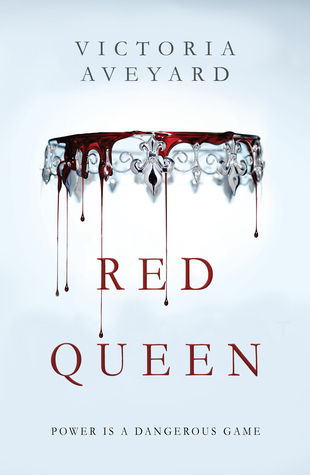 Marissa Meyer: Technically I read CInder like a week before 2014, but I’m still going to count it. 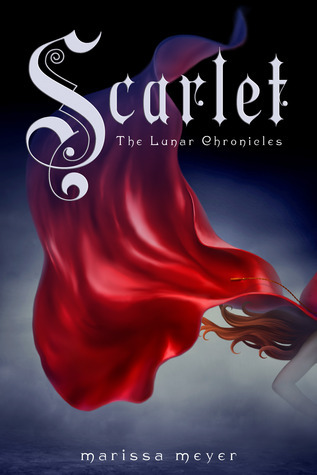 I read Scarlet right after the new year and waited a month for Cress to come out and besides Harry Potter, the Lunar Chronicles is my favorite fantasty series. 7. Gayle Forman: This lady definitely surprised me. The summarys of her book sounded okay, but I was never very interested. 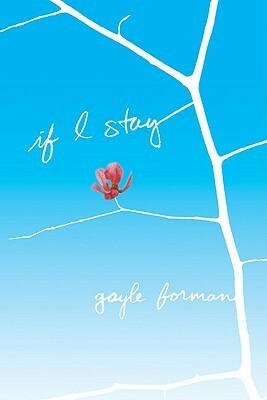 However, after reading If I stay, I knew her books were much better than they were depicted to be. 8. 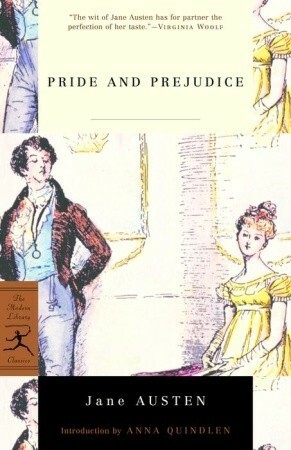 Jane Austen: I am reading Pride and Prejudice right now, and I just really love the story. 9. 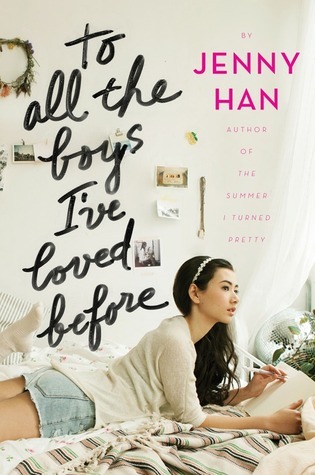 Jenny Han: I was always very skeptical of Jenny Han, because I wasn’t intrigued by the Summer I Turned Pretty books at all, but To the Boys I’ve Loved Before was a nice, refreshing contemporary book. 10. J.D. 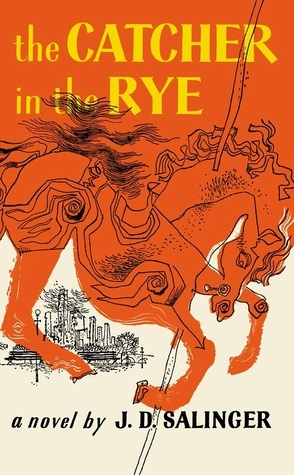 Salinger: I also read Catcher in the Rye this year and it was surprisngly much better than I expected it to be. Holden Caufield is the funniest character in the world. This list is made of many different authors, but these are just a few that I remember thorougly enjoying their books. There were many more but these are the stand-outs. Tomorrow it will officially be 15 days until Christmas, so let the Christmas posting begin! I am super excited and got some pretty fun stuff planned. Also witht the end of December comes the “Best of 2014” and the “What to read in 2015” posts, so those will come later on! What are some of your favorite new authors this year? She liked classical music. He was in a rock band, and was like the rest of her family. Mia and Adam were complete opposites, yet they were perfect for each other. Everything was great, until one afternoon. In just a couple of seconds, Mia’s whole life was changed. She has so many hard choices to make. How could she live a life without her family, but at the same time, how could she possibly leave Adam? 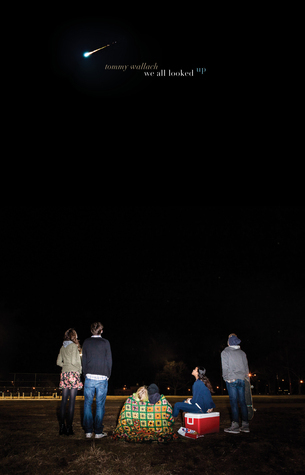 I saw If I Stay a while ago, and it looked pretty interesting. Then I found out that there was a movie in the making, and I made my decision. I didn’t want to have to wait months for one of my favorite books to be adapted, so I didn’t read it then. I decided a couple of days ago that I wanted to see the movie this weekend, so I decided to read the book finally. I have never been so happy of a decision before. It only took me a few hours to read the book, and immediately I read the sequel. Then a few days later, I saw the movie. I do not know what I would’ve done if I read this book months ago. I didn’t even want to wait a few days to see the movie, so waiting a couple months would’ve been torture. Alright now we can get into the actually review of this adaptation. 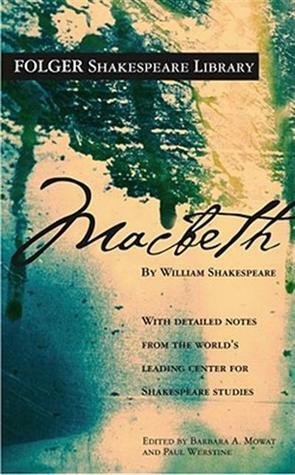 First off, the lines in the movie were exactly the same from this book. I have never seen an adaption that followed a book so closely. It really like they didn’t have a script, they just had the book they were reading from. The movie followed the story amazingly. I was honestly nervous about how they would show all the flashbacks and the out of body experience, but they did it perfectly. I only had a one probably about the plot, and I will talk more about it later. Secondly, the cast. They portrayed the characters so well, and it wasn’t just Mia and Adam. Kim, the Grandparents, Willow, and the Parents were all perfect. Kat and Denny (Mia’s parents) were one of my favorite parts of the book and movie. In normal YA books, the parents are just gone, while these parents were present the whole time. There wasn’t one character in the whole movie that didn’t feel right. The cast members were the characters. This movie was filled with so many emotional parts. You laughed when the parents were hiding behind the window when Adam and Mia came back from their date, and you cried when the wreck happened. There are so many parts in this movie that were just so beautiful. I know these aren’t all, but here are some of my favorite emotional moments. The whole wreck in general just tore my heart to pieces. The way you see how confused Mia is and her reactions when she learns that her parents and brother has died are heart-breaking. The family and friends coming to see Mia in the hospital. When her Grandpa comes in and tells her that he understands he she wants to go, and that it’s okay to leave had me with tears rolling down my face. Also, when Kim comes in and says that she still has a family is she stays. Finally, when Mia learns her parents and brother are dead, and she’s crying in the hallway. One of my favorite parts in the movie is the whole montage at the end before she wakes up. The whole scene was cinematically beautiful. The way they showed all the memories at once and had both the cello and guitar playing in the background was an impacting moment in the movie. It was perfect at building up the suspense. Finally, the only real problem I had was this movie was Adam talking to her. I know there were other things that were incorrect, like how her Dad dead on the scene or how her brother was at a different hospital, but Adam’s spill was very important. If they are planning on making another movie, they missed a KEY part. Adam never said that if she needed to erase them all, he would go away. That we would be okay as long as she lived. This is the main part of Where She Went, since she leaves Adam. My prediction is that if they make another movie, they will make some sort of flashback or mention it because I fell like it is imperative to the plot of sequel. Well those are my thought on the movie. Of course I have many more, but I can only write down so many. Sorry if this review is a little late, it took me some time to get all my thoughts together. So how did you guys feel about this movie? What were you favorite and least favorite parts? Let me know! !